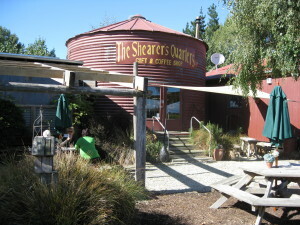 Hidden away on a quiet back road in the tiny hamlet of Seadown, just north of Timaru, the Shearers’ Quarters country gift shop and cafe, is a slice of retro rustic heaven which offers a great outing for visitors of all ages and tastes. Coffee aficionados can sip their brew of choice on a comfy armchair beside the log fire in the old silo, at a chunky table in the disused shearing shed, on the wide, shady verandah or in a secluded spot in the sunny garden. The Shearers’ Quarters has a tranquil, uncrowded space with a nostalgic country flavour for every season. The coffee is superb and a good range of teas is available too. The food is rich and generous; it took two kids and three adults to conquer a slice of chocolate mud cake and a further two adults and two kids to dispense with a caramel oat slice. Housed in the abandoned shearers’ quarters which give the business its name, the gift shop provides happy hunting and foraging for lovers of arts and crafts. Just off the shearing shed section of the cafe, there’s a playroom to keep the little kids occupied. Out front the garden is perfect for hide and seek. The Shearers’ Quarters is also available for functions and on that beautiful, sunny autumn day when I sat sipping my cafe latte and doing my bit with that slice of chocolate mud cake, I couldn’t help thinking wistfully of a romantic wedding ceremony in the garden and a banquet at a long tables on the verandah of the old shearing shed. 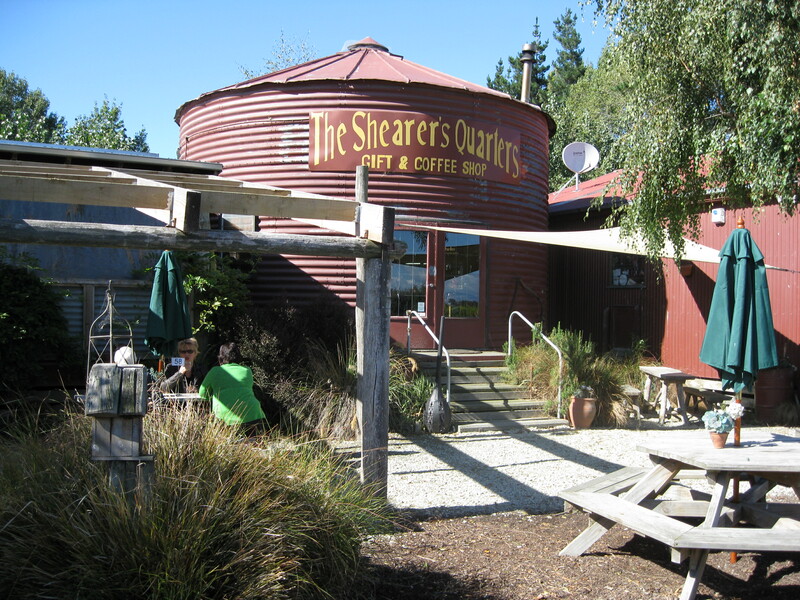 In an age when barns, sheds, stables, churches, banks and even post offices have been born again as gift shops and cafes and in a region rich with crafts, coffee and great food, the Shearers’ Quarters country gift shop and cafe is a stand out.